An unpaid endorsement by a verified purchaser . . .
As a conductor, I am keenly, acutely, aware of where sounds come from, and in my audio system I want to hear the right sounds from the right places. The Accession/Elevator delivered in spades!" When he heard the Accession M phono stage via the Elevator EXP MC step-up amplifier, BYU’s Director of Orchestras — an accomplished conductor and musician — was amazed at how so true-to-life the music sounded! I hadn't noticed at first that the Accession was reproducing those acoustic environments more faithfully but gradually became more aware that in addition to it sounding more like real instruments, it was also sounding more like I was in great halls as well"
Having collaborated with such guest artists as The King's Singers, Judy Collins, Art Garfunkel, Mel Tormé, Ray Charles, Chet Atkins, Crystal Gayle, Lou Rawls and Roger Miller to name a few (see Kory's full bio), Kory knows how music is intended to sound. Everything is richer and the bass is magnificent. Tight, yet full and powerful. And the midrange. Wow." It's like peeling about 5 layers off the onion and really hearing what's there." 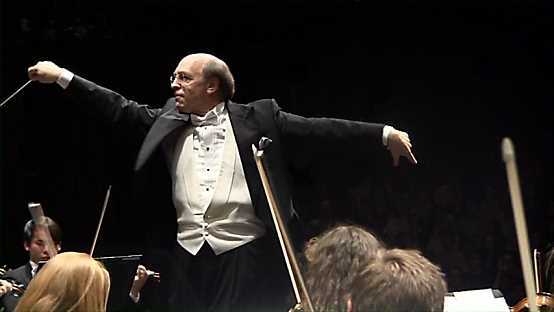 But classical is obviously what a conductor knows best, and from his fifteen years with the Utah Symphony and the last twenty with his BYU orchestras, as well as guest conducting for many ensembles, the vantage point of the podium has afforded particular insight into sound production. ...to have four string players sitting there and to get individual sounds so clearly, and the timbre of a viola so different than the second violin is really impressive. I don't think I've ever heard a more engaging sound of a recorded string quartet." The affirmation of these observations came a couple days ago when I had a colleague (a fantastic violinist and rising superstar in the early music world) over and we listened to a couple of LP's. The Ravel quartet, again, where he confirmed that he could hear the two finger pizzicati in the cello and 2nd violin, and then the Mehta/LA Phil Planets, where he burst out saying - Wow, I've never heard a system where you could hear all the different instruments in their different places in the orchestra. The horns up high in the left, the trombone and trumpets on the right, and the winds in their different places." 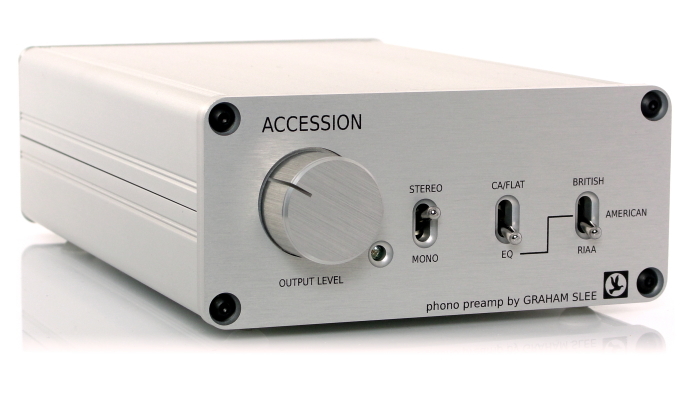 This combination of phono preamp has opened up the possibilities of the rest of my system. Obviously, my former preamp was a bottleneck and had limited the range of sonic possibilities. 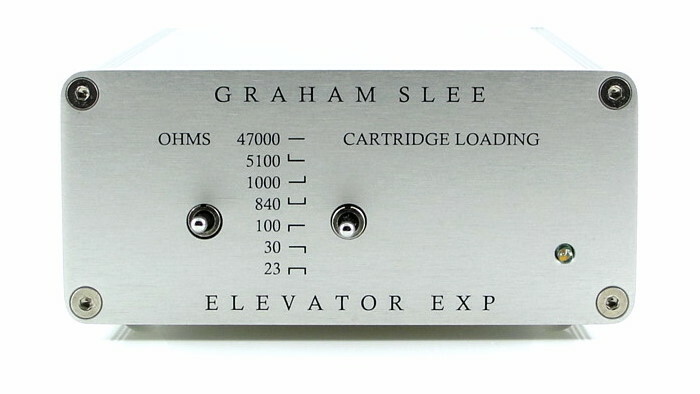 So a wonderful discovery that Graham Slee products actually improved my whole system, by beginning with a front end that placed no restriction on what comes downstream." Under the direction of Kory Katseanes, the BYU Philharmonic performs the greatest works in the orchestral repertoire, and showcases the most inspiring and thrilling achievements of the world’s greatest composers. The Chamber Orchestra is the touring orchestra that represents BYU throughout the U.S. and internationally, and performs the great classical repertoire written for small orchestra from all musical periods. Kory Katseanes came to BYU in 1999 as Director of Orchestras in the BYU School of Music. He oversees the orchestral program that accommodates nearly 400 students enrolled in the five University orchestras, and directs the graduate orchestral conducting program. He conducts the BYU Philharmonic and the BYU Chamber Orchestra in their campus concerts, throughout Utah, and on their regular tours throughout the world, appearing most recently with guest artists Lynn Harrell, Marc-André Hamelin, Lea Salonga, and Brian Stokes Mitchell. Given the university’s expansive commitment to touring, the BYU Chamber Orchestra is, perhaps, the most widely-traveled university orchestra in the world. In addition to its local concert schedule, past tours have taken the orchestra to Austria, China, Czech Republic, England, Germany, Greece, Hungary, Israel, Italy, Philippines, Poland, Russia, Scotland, Slovenia, Switzerland, Turkey, and Ukraine. Professor Katseanes also served as Director of the BYU’s School of Music from 2009-2015. Professor Kory Katseanes is a native of Blackfoot, Idaho, and moved to Salt Lake City in 1974 to continue his education. He joined the Utah Symphony in 1975 as a violinist, and served as Assistant Conductor from 1987 to 2002. He regularly conducted the Symphony on the Entertainment, Youth, and Family Series, at Deer Valley, Abravanel Hall, and at numerous venues locally, throughout Utah, and the surrounding Western States. During his fifteen years as the assistant conductor he played a significant role in the education programs of the Utah Symphony, programming and conducting concerts the orchestra performed in Utah's schools during that time. While conducting the Utah Symphony he collaborated with such guest artists as The King's Singers, the Chieftains, Nanci Griffiths, Judy Collins, Art Garfunkel, Mel Tormé, Marvin Hamlisch, Ray Charles, Maureen McGovern, Rosemary Clooney, Chet Atkins, Michael Martin Murphy, Crystal Gayle, Kathy Mattea, Riders in the Sky, The Manhattan Rhythm Kings, Carol Channing, Toni Tenille, Lou Rawls, The Dukes of Dixieland, Pete Fountain, Roger Miller, The Kingston Trio, His work with dance companies includes Rudolph Nureyev and Friends, Repertory Dance Theater and the Twin Cities Ballet. He was the founder and Music Director of The Utah Virtuosi, a professional chamber orchestra in Salt Lake City.Recent guest conductor appearances include Ballet West, the Utah Symphony, the Mormon Tabernacle Choir and Orchestra, community orchestras throughout the West, and all-state orchestras in Arizona, Florida, Idaho, Illinois, Kentucky, New Hampshire, Tennessee, Utah, and Wyoming. In 2008 he received the Utah ASTA award for Music Educator of the Year. He is a founding member of the College Orchestra Directors Association, currently serving as CODA’s immediate past president. He and his wife Carolyn are the parents of four children, and eleven grandchildren. He is also an avid golfer.